10% off when you spend £100 excluding delivery + VAT. You can also check out our Cheap Clearance Paint Stock. 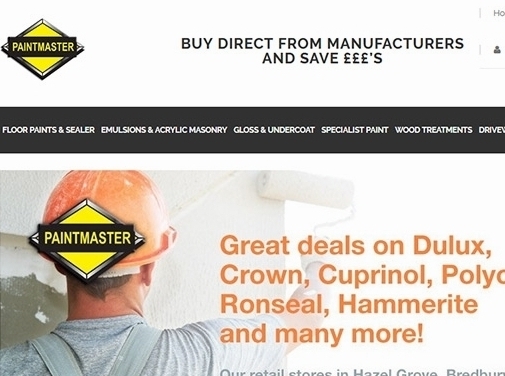 UK (Whaley Bridge, Derbyshire) based business - established over 30 years ago - providing paint products. Website includes e-commerce facilities, delivery and returns information, terms and conditions, full contact details including company registration and VAT numbers.